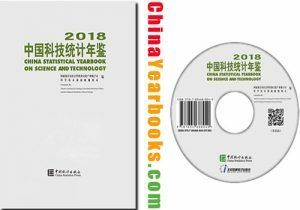 China Statistical Yearbook on Science and Technology-2018 is prepared jointly by the Department of Social, Science and Technology, and Cultural Statistics National Bureau of Statistics and the Department of Strategy and Planning of Science and Technology. The Yearbook, which covers data series at the national, provincial and local levels, and autonomous regions, as well as departments directly under the State Council, reports on the development of China’s science and technology activities. The yearbook contains the following nine parts. The first part reflects general science and technology(S&T) information on whole society; The second part, the third part and the forth part reflect respectively S&T information about Industrial Enterprises, Independent Research Institutions and Institutions of Higher Education. Industrial Enterprises cover Industrial Enterprises above Designated Size, with the sales revenue above 20 million RMB；Independent Research Institutions cover the municipal and above and independent accounting scientific research and technological development institutions which belong to government；Institutions of Higher Education cover Institutions of Higher Education and affiliated hospitals. The fifth part contains information on High Technology Industry. The sixth part contains information on innovation activities of enterprises. The seventh part contains information on National Program for Science and Technology. The eighth part contains information on results of S&T activities. The ninth part covers Scientific and Technologic Service and S&T activities of China Associations for S&T. The tenth part contains information on the international comparisons. The institutions participating editing this volume include: Ministry of Education, Sate Administration of Science, Technology and Industry for National Defense, Ministry of Finance, Ministry of Human Resources and Social Security,Ministry of Natural Resources, Ministry of Commerce, State Administration for Market Regulation, State Intellectual Property Office, Chinese Academy of Sciences, Chinese Academy of Engineering, Ministry of Emergency Management, China Meteorological Administration, China Association for Science and Technology. We would like to express our gratitude to these institutions of the State Council for their cooperation and support in sparing no effort to provide all the required data. 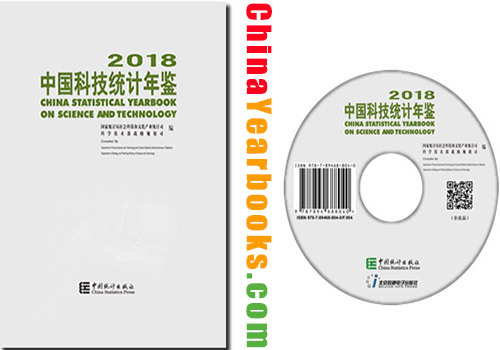 China Statistical Yearbook on Science and Technology-2017 is prepared jointly by the Department of Social,Science and Technology, and Cultural Statistics National Bureau of Statistics and the Department of Innovation & Development Ministry of Science and Technology. The Yearbook, which covers data series at the national, provincial and local levels, and autonomous regions, as well as departments directly under the State Council, reports on the development of China’s science and technology activities. The institutions participating editing this volume include: Ministry of Education, Sate Administration of Science, Technology and Industry for National Defense, Ministry of Finance, Ministry of Human Resources and Social Security,Ministry of Land and Resources, Ministry of Commerce, General Administration of Quality Supervision, Inspection and Quarantine, State Intellectual Property Office, Chinese Academy of Sciences, Chinese Academy of Engineering, China Earthquake Administration, China Meteorological Administration, State Oceanic Administration,National Administration of Surveying, Mapping and Geoinformation, China Association for Science and Technology. We would like to express our gratitude to these institutions of the State Council for their cooperation and support in sparing no effort to provide all the required data.